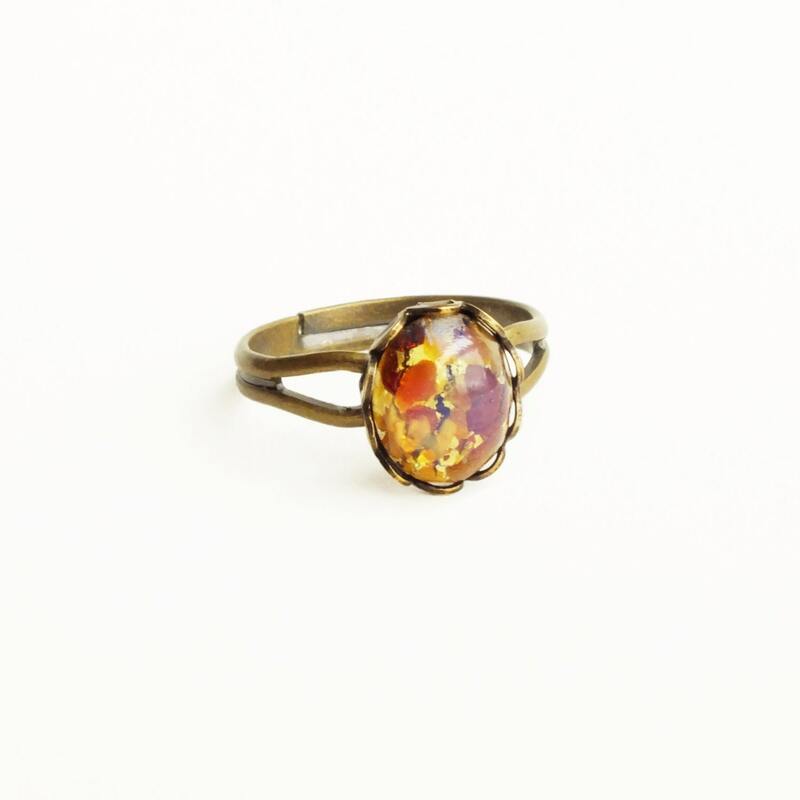 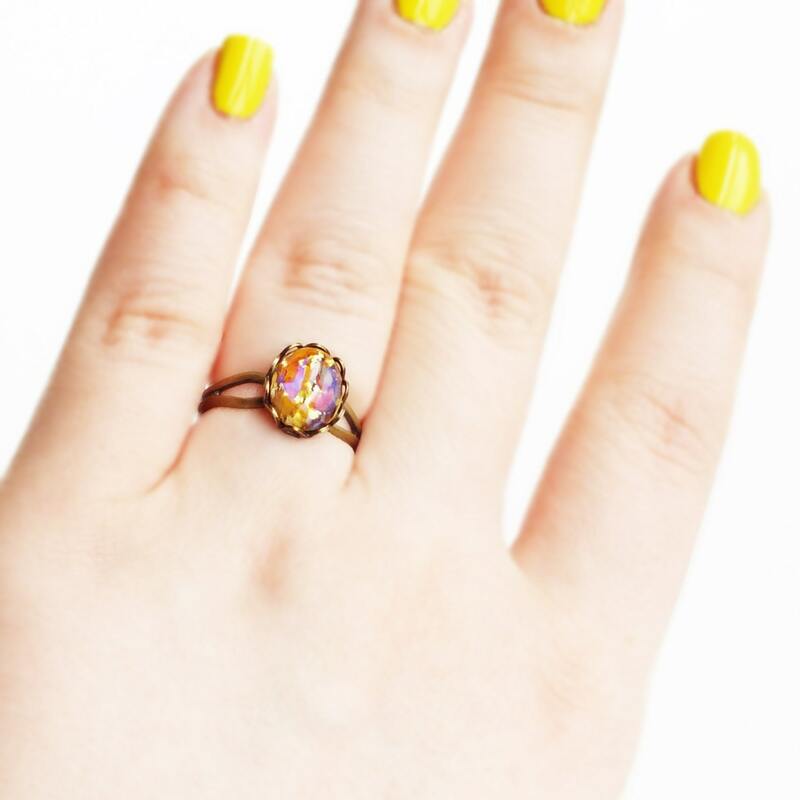 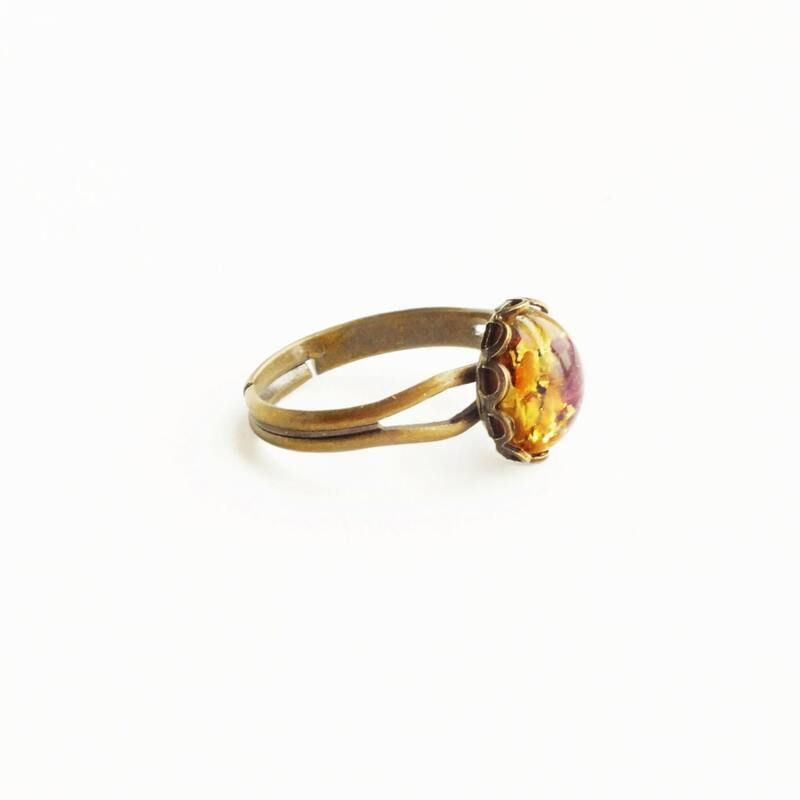 Small handmade topaz opal ring with vintage iridescent glass opal cabochon. 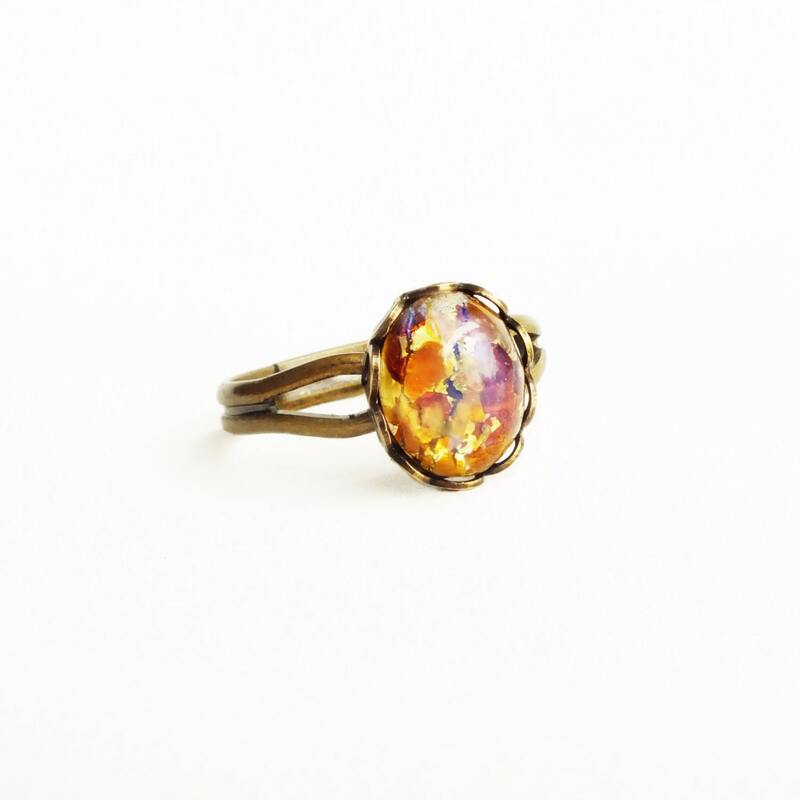 Made with a small vintage topaz glass harlequin fire opal cabochon. 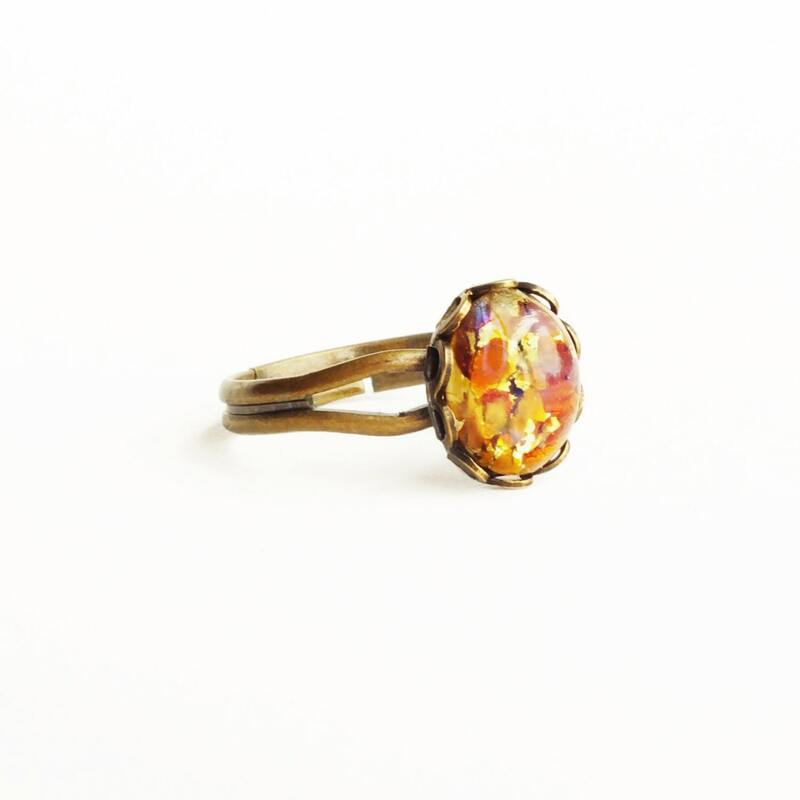 The glass stone is embedded with crackled gold foil, topaz and amber floating glass and electric blue iridescent 'fire'.